The reason? Leftist liberal Southern Poverty Law Center. For those unfamiliar with SPLC, they are the leftist liberal hysteria-stokers responsible for producing a slanderous list of “hate groups” that lumps together actual violent extremists with respectable organizations such as Alliance Defending Freedom and the Family Research Council and with international human rights activists such as Maajid Nawaz and Ayaan Hirsi Ali. So, the “ineligible category” to which Amazon’s statement refers is really nothing more than a hit list of groups and people SPLC disagrees with. Amazon’s decision to rely on the false accusations of such a bad actor is inexplicable. Although the Leftist liberal SPLC did good work many years ago, it has devolved into a far-left propaganda machine that slanders organizations with which it disagrees and destroys the possibility of civil discourse in the process. 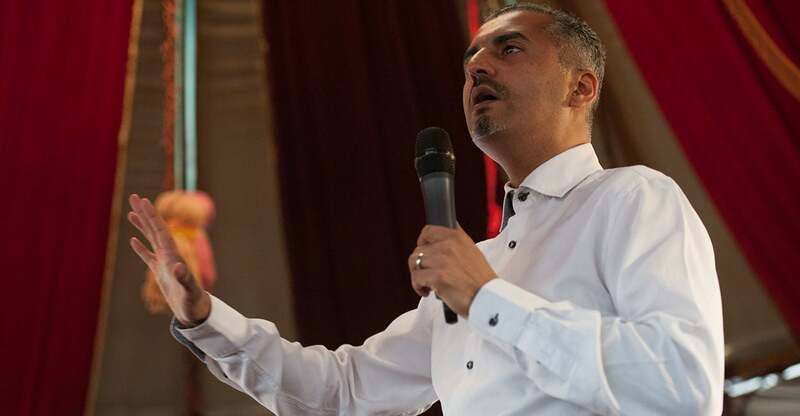 The group has been discredited by investigative journalists and charity watchdogs as a ‘direct mail scam’ that has seen its leaders amass enormous fortunes. It is no surprise that the United States Department of Defense and the Federal Bureau of Investigation have severed ties with the leftist liberal SPLC. I can affirm the truth in the above statement, as I spent 13 years working alongside Kristen and many other honorable people at Alliance Defending Freedom. From firsthand experience, I know ADF is committed to building freedom’s future, while Southern Poverty Law Center is hell-bent on vaporizing any opposing views. With SPLC having been repeatedly exposed as a huckster racket for decades by voices from across the ideological spectrum, it is mind-boggling that one of the largest companies in the world would align itself with its destructive bigotry. But faithful Amazon customers should know that Amazon’s choice is to side with a torch-and-pitchfork fear merchant over millions of people who have the audacity to believe in religious freedom, free speech, strong families, and the sanctity of human life. Those are all causes that Alliance Defending Freedom has spent a quarter of a century ably defending. So the Fake News tells lies, and then silences opposing points of view. the people trying to destroy freedom of speech are afraid of being called racist. Leftist organization: Southern Poverty Law Center. and that folks is not a joke! Four of the world’s biggest tech platforms have working partnerships with a left-wing nonprofit that has a track record of inaccuracies and routinely labels conservative organizations as “hate groups.”Facebook, Amazon, Google, and Twitter all work with or consult the Southern Poverty Law Center in policing their platforms for “hate speech” or “hate groups,” a Daily Caller News Foundation investigation found. The SPLC is on a list of “external experts and organizations” that Facebook works with “to inform our hate speech policies,” Facebook spokeswoman Ruchika Budhraja told The Daily Caller News Foundation in an interview. Facebook consults the outside organizations when developing changes to hate speech policies, Budhraja said, noting that Facebook representatives will typically hold between one and three meetings with the groups.Citing privacy concerns, the Facebook spokeswoman declined to name all the outside groups working with Facebook, but confirmed the SPLC’s participation.Budhraja emphasized that Facebook’s definition of “hate group” is distinct from the SPLC’s definition and said that Facebook consults with groups across the political spectrum.The SPLC accused Facebook in a May 8 article of not doing enough to censor “anti-Muslim hate” on the platform. That article did not disclose the SPLC’s working partnership with Facebook.“We have our own process and our processes are different and I think that’s why we get the criticism [from the SPLC], because organizations that are hate organizations by their standards don’t match ours,” Budhraja said. “That doesn’t mean that we don’t have a process in place, and that definitely doesn’t mean we want the platform to be a place for hate but we aren’t going to map to the SPLC’s list or process,” she said.Of the four companies, Amazon gives the SPLC the most direct authority over its platform, The Daily Caller News Foundation found.While Facebook emphasizes its independence from the SPLC, Amazon does the opposite: Jeff Bezos’ company grants the SPLC broad policing power over the Amazon Smile charitable program, while claiming to remain unbiased. “We remove organizations that the SPLC deems as ineligible,” an Amazon spokeswoman told The Daily Caller News Foundation. Amazon grants the SPLC that power “because we don’t want to be biased whatsoever,” said the spokeswoman, who could not say whether Amazon considers the SPLC to be unbiased.The Smile program allows customers to identify a charity to receive 0.5 percent of the proceeds from their purchases on Amazon. Customers have given more than $8 million to charities through the program since 2013, according to Amazon. Only one participant in the program, the SPLC, gets to determine which other groups are allowed to join it. 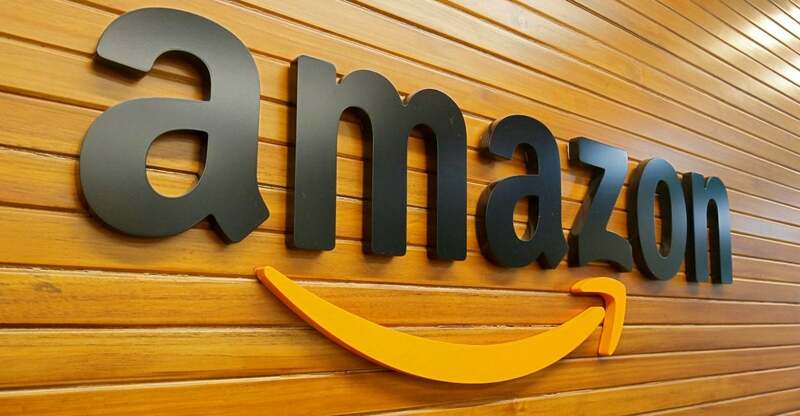 Christian legal groups like the Alliance Defending Freedom—which recently successfully represented a Christian baker at the Supreme Court—are barred from the Amazon Smile program, while openly anti-Semitic groups remain, The Daily Caller News Foundation found in May. One month later, the anti-Semitic groups—but not the Alliance Defending Freedom—are still able to participate in the program. The platform also includes the Trust and Safety Council, which “provides input on our safety products, policies, and programs,” according to Twitter. Free speech advocates have criticized it as Orwellian.A Twitter spokeswoman declined to comment on the SPLC specifically, but said the company is “in regular contact with a wide range of civil society organizations and [nongovernmental organizations].” Google uses the SPLC to help police hate speech on YouTube as part of YouTube’s “Trusted Flagger” program, The Daily Caller reported in February, citing a source with knowledge of the agreement. Following that report, the SPLC confirmed it’s policing hate speech on YouTube.The SPLC and other third-party groups in the Trusted Flagger program work closely with YouTube’s employees to crack down on extremist content in two ways, according to YouTube.First, the flaggers are equipped with digital tools allowing them to mass flag content for review by YouTube personnel. Second, the groups act as guides to YouTube’s content monitors and engineers who design the algorithms policing the video platform, but may lack the expertise needed to tackle a given subject. The SPLC is one of over 300 government agencies and nongovernmental organizations in the YouTube program, the vast majority of which remain hidden behind confidentiality agreements.The SPLC has consistently courted controversy in publishing lists of “extremists” and “hate groups.” The nonprofit has been plagued by inaccuracies this year, retracting four articles in March and April alone. The well-funded nonprofit, which did not return a request for comment, deleted three Russia-related articles in March after challenges to their accuracy followed by legal threats.All three articles focused on drawing conspiratorial connections between anti-establishment American political figures and Russian influence operations in the United States.The SPLC removed a controversial “anti-Muslim extremist” list in April, after British Muslim reformer Maajid Nawaz threatened to sue over his inclusion on the list. The SPLC had accused the supposed extremists of inciting anti-Muslim hate crimes. Somali-born women’s rights activist Ayaan Hirsi Ali also made the list. Ali, a victim of female genital mutilation who now advocates against the practice, is an award-winning human rights activist. But according to the SPLC’s since-deleted list, she was an “anti-Muslim extremist. .“That means being respectful of those with whom we disagree and allowing people to live according to their values without harassment,” he continued. “It is nothing but projectionism when some groups label those who disagree with them as haters.” Following a backlash, the SPLC apologized and http://dailycaller.com/2015/02/11/southern-poverty-law-center-apologizes-to-ben-carson-for-putting-him-on-its-extremist-list/. Carson was on the list for four months before the SPLC removed the “extremist” label. Floyd Lee Corkins, who attempted a mass shooting at the conservative Family Research Council in 2012, said he chose the organization for his act of violence because the SPLC listed it as a “hate group.” The SPLC has faced tough criticisms not just from conservatives, but from establishment publications as well. .............until there are no more people to take the wealth from.
" The YouTube account associated with this video has been terminated due to multiple third-party notifications of copyright infringement. " Free speech only applies when liberals and leftists are having their say. Everything else is "hate speech" and is therefore subject to silencing. “In my youth I grew up respecting the work of the Southern Poverty Law Center, and their work against the KKK, in particular, was something, somebody like me … grew up appreciating,” Nawaz said in the interview on “Fox & Friends. 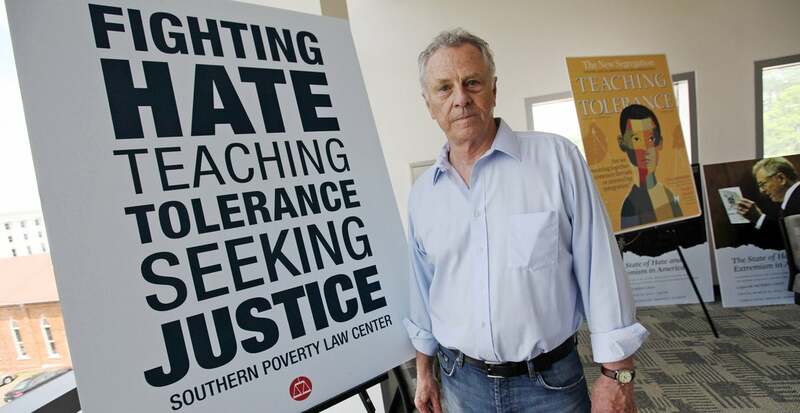 ”The SPLC has been in the news in recent years for labeling mainstream conservative organizations, including the traditional values group Family Research Council and the Christian legal group Alliance Defending Freedom, as hate groups. Last edited by senor honda; 07-24-2018 at 03:54 AM. Facebook stock took a 20% drop today 26 July 2018.
and support free speech for ALL people. Facebook should not be getting into censoring people and kicking them out if they disagree with someone. and facebook should not be kicking people off because not everyone praises liberals who are removing their freedom of speech. Last edited by senor honda; 08-07-2018 at 05:55 AM. When facebook was just starting, they asked people to give them their list of friends. At a certain point facebook decided to block out people and organizations that liberals didn't like. You can use social media all you want, but you will never be heard. Then facebook started to CHARGE YOU money if you wanted to communicate with your friends. The next step is to CHARGE THE PEOPLE ON YOUR LIST OF FRIENDS! Why is no one asking why facebook and others think they have the right to STOP YOUR RIGHT OF FREE SPEECH? The US Constitution protects ALL speech, not just the speech of special groups. "We are private businesses and if we don't want freedom of speech to apply to people we don't like, screw you". YouTube and Facebook, have elected to strip content from the publication InfoWars from their platforms. Anything that is not the leftist, liberal, democrat agenda is "hate speech"
Jarrett Stepman @JarrettStepmanJarrett Stepman is an editor and commentary writer for The Daily Signal and co-host of "The Right Side of History" podcast. [email protected]. This week, the conspiracy website Infowars, which is run by Alex Jones, was either “banned” or had content stripped from most social media platforms.YouTube cited “hate speech and harassment” as reasons to remove Infowars from the platform, Apple explained that “hate speech” wouldn’t be tolerated, and Facebook announced: “Upon review, we have taken it down for glorifying violence … and using dehumanizing language to describe people who are transgender, Muslims and immigrants, which violates our hate speech policies.”Private companies can, of course, censor whomever they like, but the pattern of behavior from Silicon Valley toward speech in general—and continual inability to treat conservative views fairly on their extremely powerful platforms—is rightly concerning to conservatives who use those platforms.Infowars is hardly a conservative website, but some fear that the social media “deplatforming” of its content will bleed over to other more mainstream outlets—especially right-leaning ones that don’t conform with the overwhelmingly left-wing values of the tech industry. Given the vague and increasingly expanding use of the term “hate speech,” it’s not unreasonable to think that purging Infowars is the tip of the iceberg. This belief was exacerbated by Sen. Chris Murphy, D-Conn., who took to Twitter to suggest just that. For instance, YouTube, an internet video company, has relied on the Southern Poverty Law Center, a far-left activist organization, to police its website under the “Trusted Flaggers” program.While SPLC is often used by media companies to designate “hate groups,” it has been loose with the definition, lumping in traditional conservative and religious organizations, like the Family Research Council, in with the Ku Klux Klan and other similar groups. And there have been other troubling signs of looming censorship of conservative views in particular. 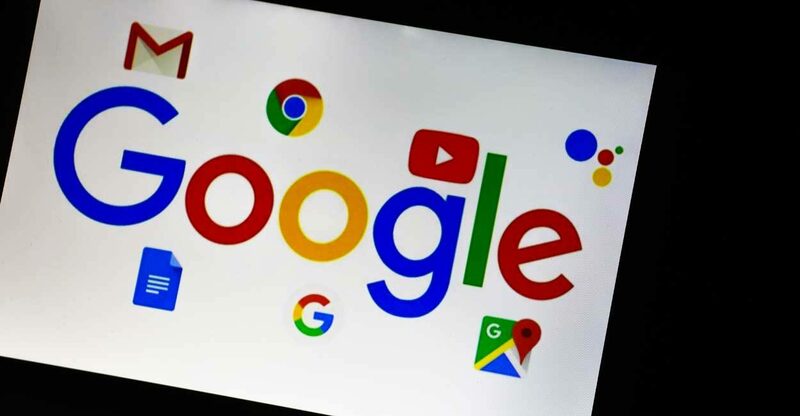 When Google launched a fact-checking tool in January, it exclusively targeted conservative publications and made some dubious claims about incorrect information on those websites. Google backed away from this fact-checking tool after it was hammered by conservative—and even some liberal—media outlets for displaying embarrassingly rank bias—whether the product of faulty algorithms or perhaps other reasons. Facebook threatened to demonetize the satirical website The Babylon Bee after Snopes.com, a fact-checking website, labeled some of its content “fake news.” The article focused on a joke about CNN using a literal washing machine to “spin news,” and was quite clearly a joke. social media eliminates COMPLETELY your right to tell others about unfair treatment?The Infowars ban also comes in the wake of widespread complaints that Twitter has been “shadow banning” some prominent conservative accounts, meaning that it filters out some content without outright banning accounts, by using key words searches.Twitter denied any kind of shadow ban, but seemed to admit in its denial that it had made it harder to find content from some conservative users.“We do not shadow ban,” Twitter lied/said in a statement. “You are always able to see the tweets from accounts you follow (although you may have to do A LOT more work to find them, like go directly to their profile).” "We are private businesses and if we don't want freedom of speech to apply to people we don't like, screw you". It’s fair to say that social media platforms, like Twitter, have seemed far from even-handed in how they define things like “hate speech” for liberals and conservatives, which is their prerogative. And it is our prerogative as conservatives to use other platforms.....if we can still find any. In May, a coalition of conservatives published a missive directed at tech companies, laying out four ways in which they can gain conservatives’ trust: “Provide Transparency,” “Provide Clarity on ‘Hate Speech’,” “Provide Equal Footing for Conservatives,” and “Mirror the First Amendment.” You can read the proposal here.However this issue is dealt with, it must be acknowledged that there is an increasing problem with media and social media bias that can’t simply be ignored.